For active immunisation of cattle to prevent kidney colonisation and shedding of Leptospira borgpetersenii serovar Hardjo in urine. 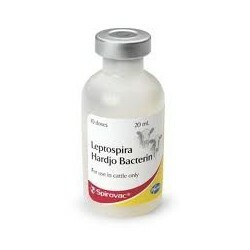 A 3 week onset of immunity and 12 month duration of protection has been demonstrated by challenge with Leptospira borgpetersenii serovar Hardjo. 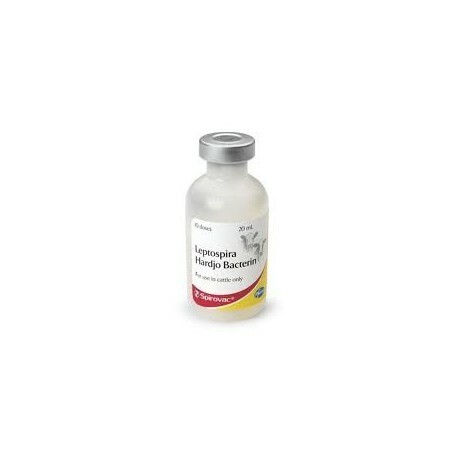 For active immunisation of cattle persistently infected with Leptospira borgpetersenii serovar Hardjo. Vaccination reduces urinary shedding of Leptospira borgpetersenii serovar Hardjo without clearance of renal colonisation. This effect appears 4 weeks post vaccination and its duration is unknown. The epidemiological significance of the reduced shedding has not been demonstrated. The vaccination may not prevent abortion in cows in which placental infection has already occurred.